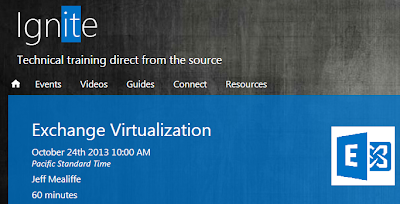 It's time for one more most awaited Live Webcast Event from Ignite Community, It's on Exchange Server 2013 Virtualization and the event is happening tomorrow 24th October from 10.00 AM PST. 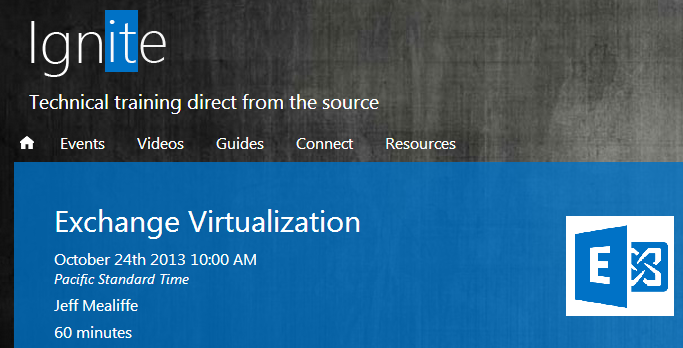 Virtualization plays a vital role in today's IT Infrastructure and forms the basis of future Technologies and this session would be an effective one for us to know how to Virtualize our Exchange Server 2013 Environment more effectively. Book your calendar for this event and attend the session to know more. Review my earlier post Virtualizing Exchange Server 2013 for additonal information along with this webcast event.